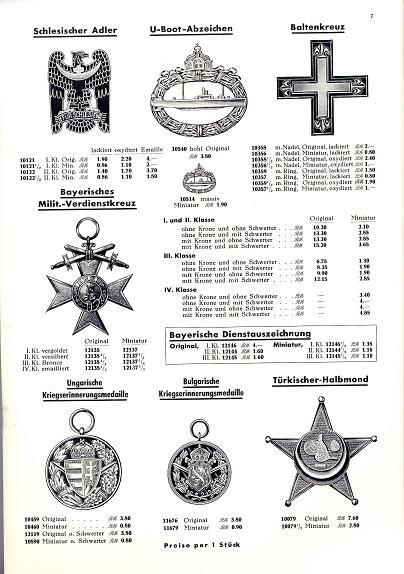 Schickle and other wartime catalogues. 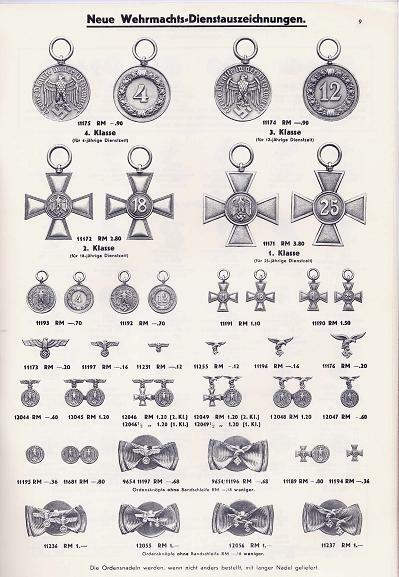 Identifying the manufacturer of certain awards (like the Juncker Knight?s Cross with its distinctive cross-hatch to the frame ribbing and the crude workmanship in the filing of the corners to make the core fit the frame) is relatively easy, but there are still a whole load out there which are unidentified and probably will never be firmly attributed to any maker. 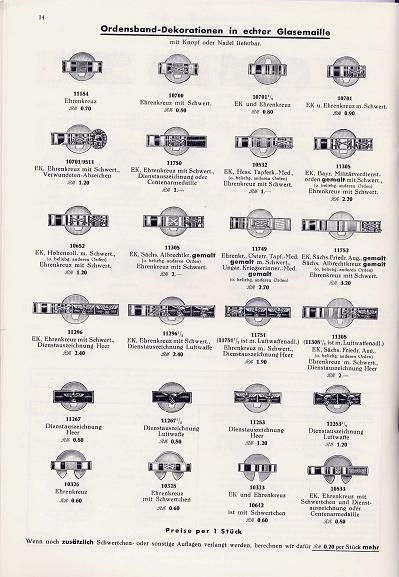 Although many of the illustrations in these catalogues are heavily retouched, many of them give considerable assistance in identifying makers of hitherto unattributed pieces ( i.e. 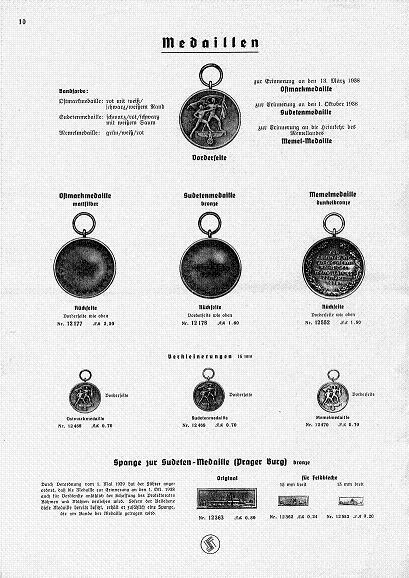 Schickle being the maker of the SS medals with the round vs teardrop suspension loop). 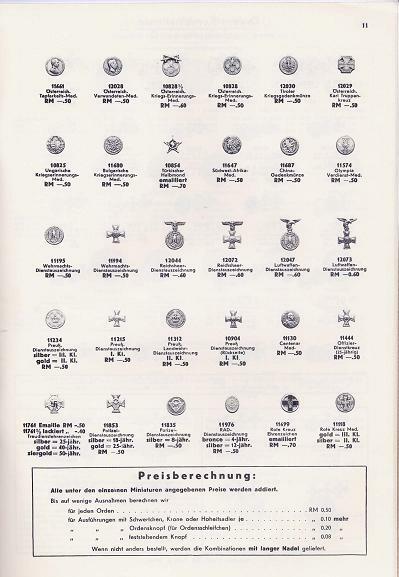 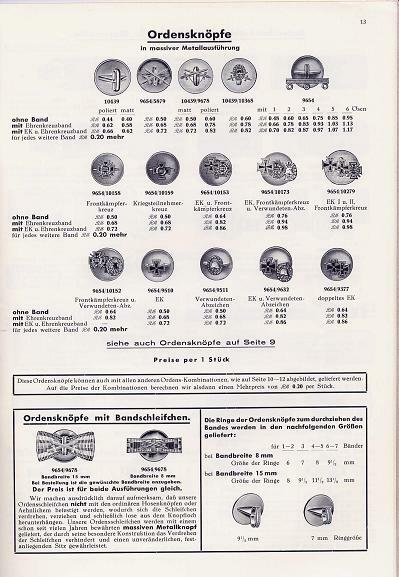 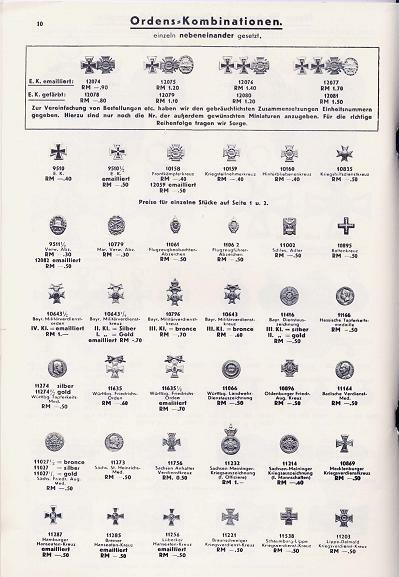 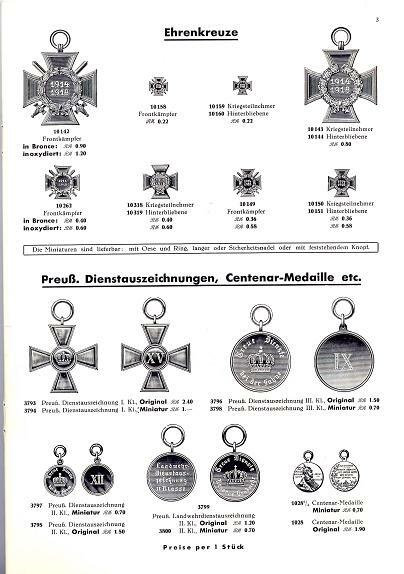 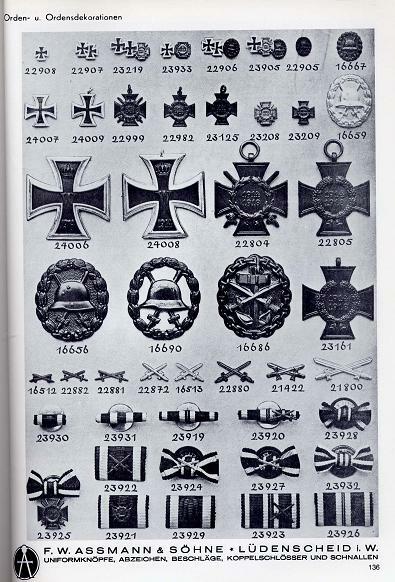 So far the best known of these catalogues is undoubtedly the Assmann catalogue though this covers their whole range and not just medals and awards, and is very early so has little wartime stuff in it. 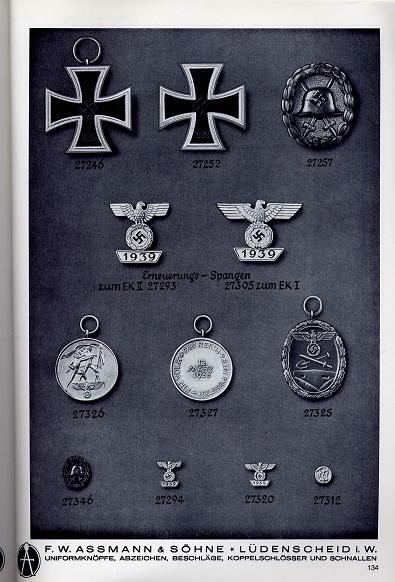 The 50th Anniversary Steinhauer catalogue has been reprinted and contains some superb quality illustrations, though being printed prior to September 1939, there are no wartime-created items in it. 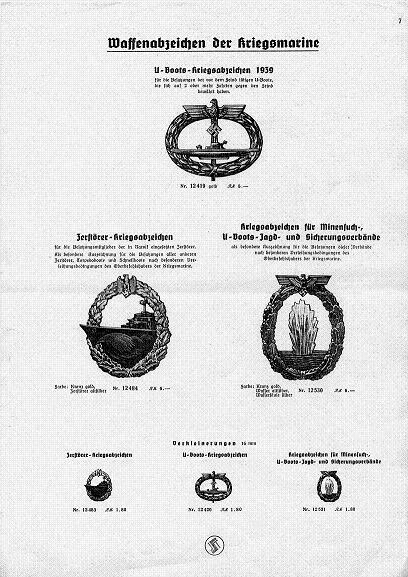 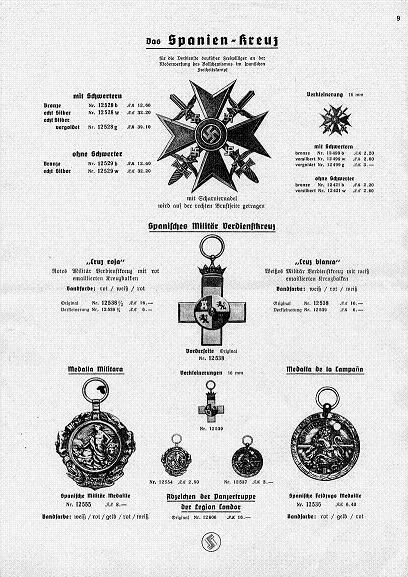 Steinhauer also produced catalogues after the outbreak of war. 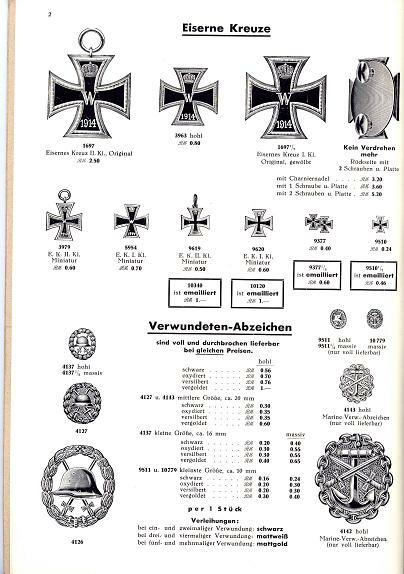 I have a few pages from a 1940 catalogue and having seen an different illustration of one the items with an alternative font used (Latin as opposed to Fraktur) it is clear that subsequent editions were published. 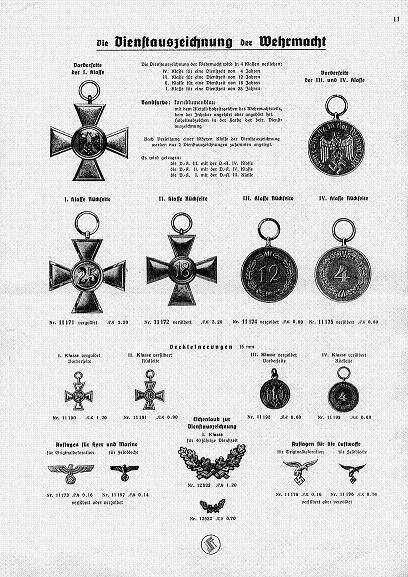 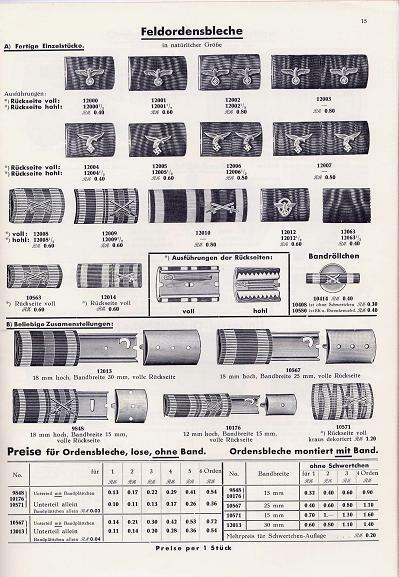 The Otto Schickle catalogue, with supplement, covers up to 1940 and shows a number of wartime pieces. 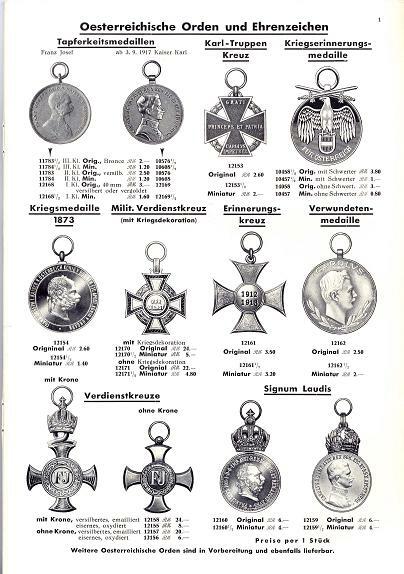 I am aware that Deumer also produced a catalogue soon after the outbreak of war but being so early it doesn?t cover anything like the full range of items they produced. 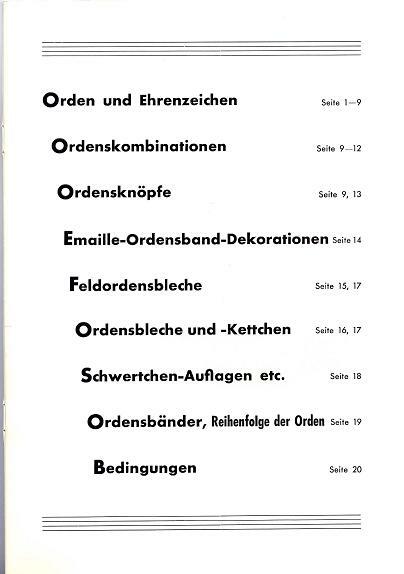 I have seen the contents of this catalogue but will leave it to the person who owns the catalogue to decide if they want to add some shots of it here. 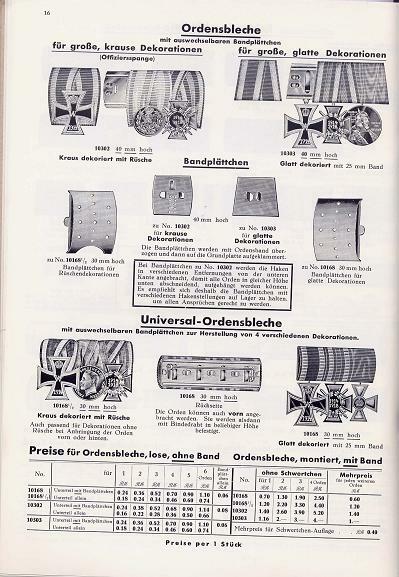 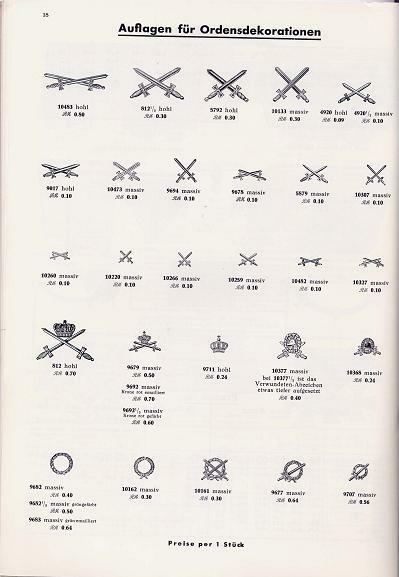 For what its worth, here are the other catalogue illustrations I am aware of. 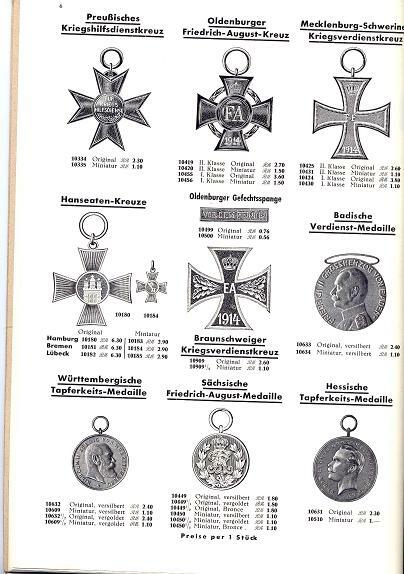 If any one else knows of any others, please add them. 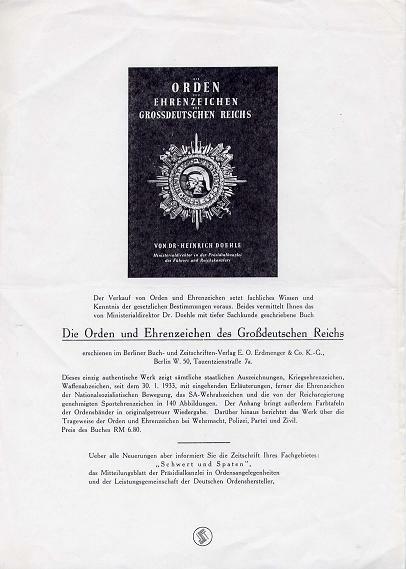 Probably the best known, and widely available in its modern reprinted edition. 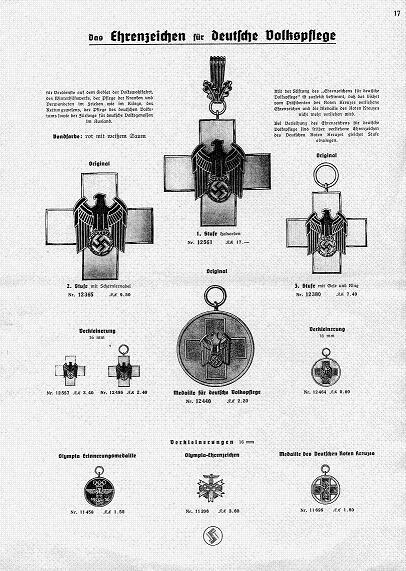 Only the awards/decorations/badges are shown here. 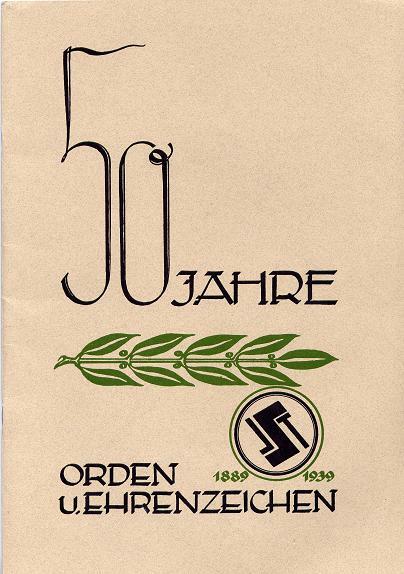 Also reprinted in recent years and still available if you look around, the S&L 50th Anniversary Catalogue. 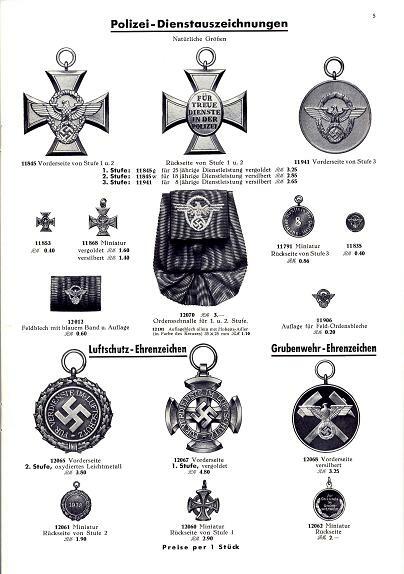 It often shows up on Ebay. 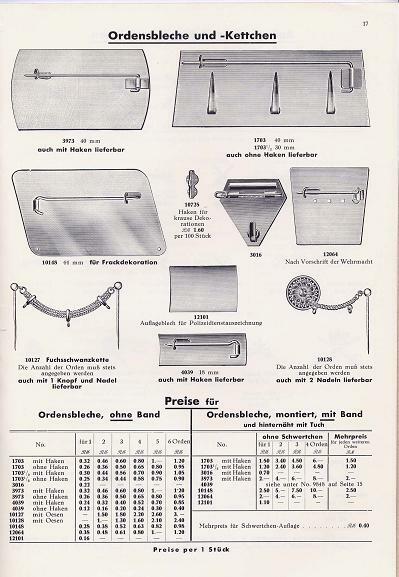 This catalogue has excellent quality illustrations. 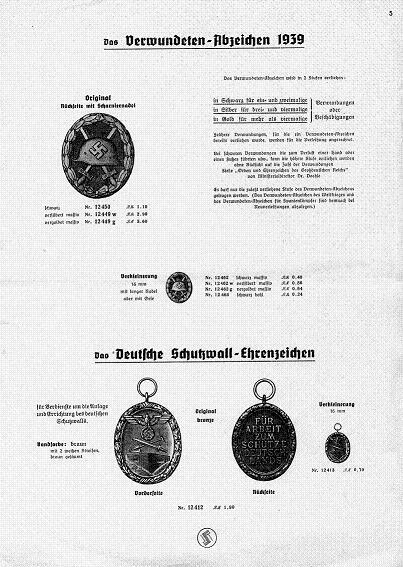 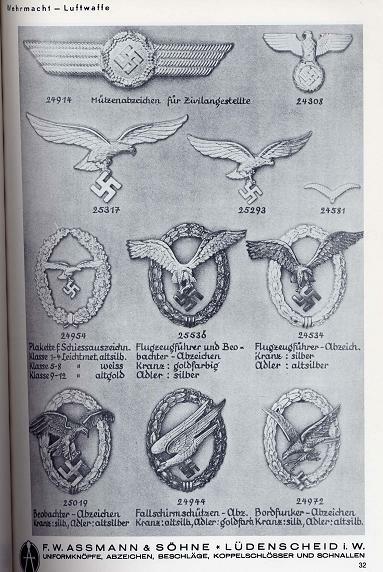 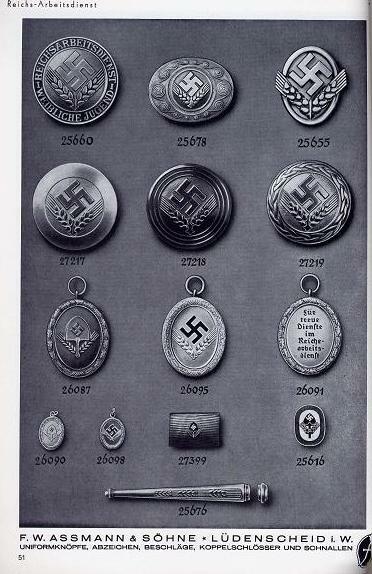 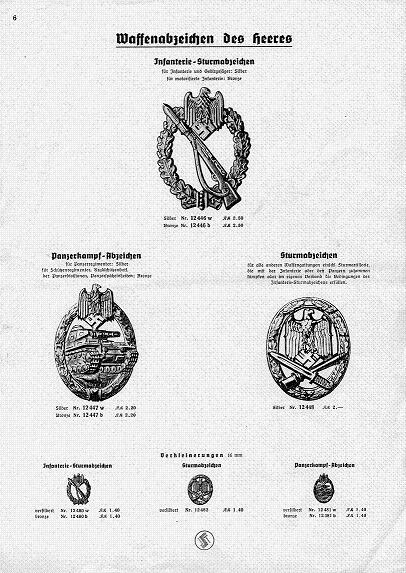 Note the Steinhauer logo and the claim "This sign stands for quality"
Pre-war "Flower" Campaign medals and Austrian awards. 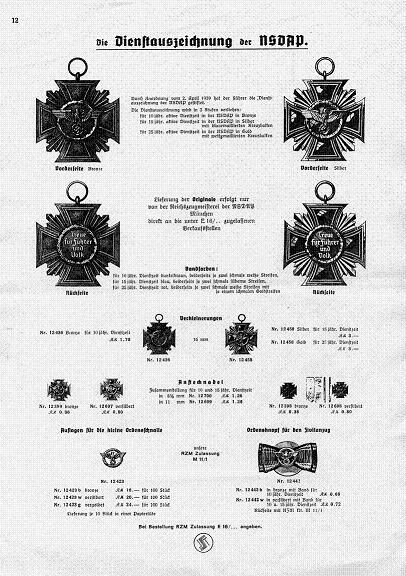 More Imperial. 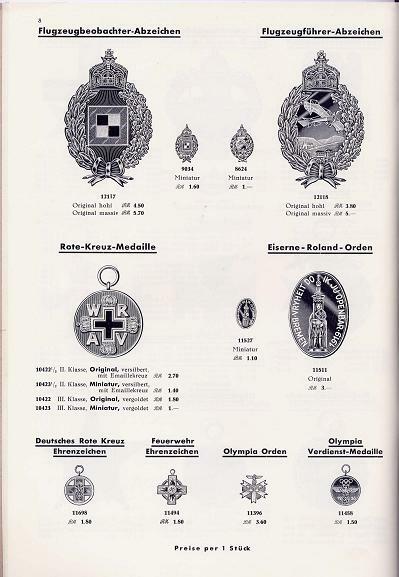 The U-Boat badge is described as hollow . 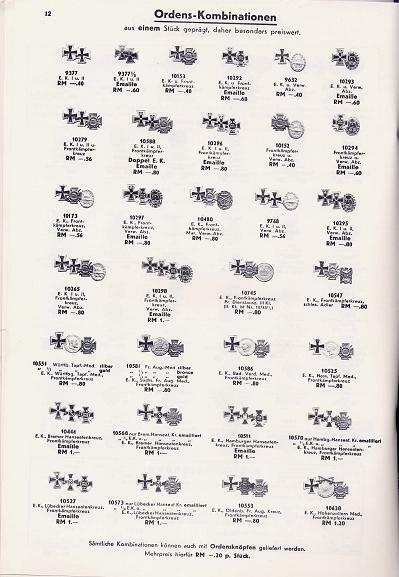 These pages are from a 1940/41 catalogue. 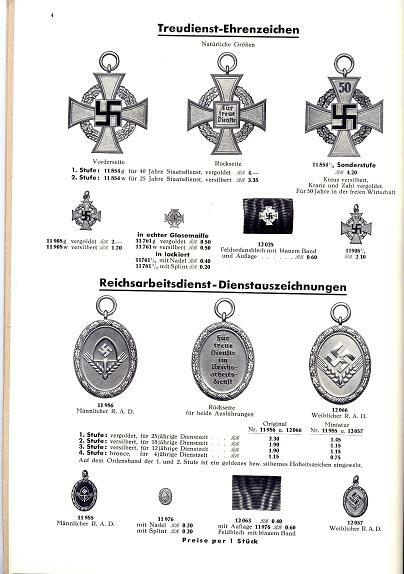 I don,t have the full catalogue unfortunately. 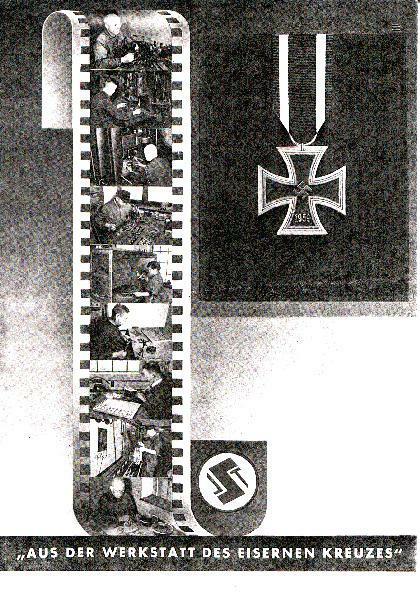 This one had come apart at the spine and only a few loose pages were available. 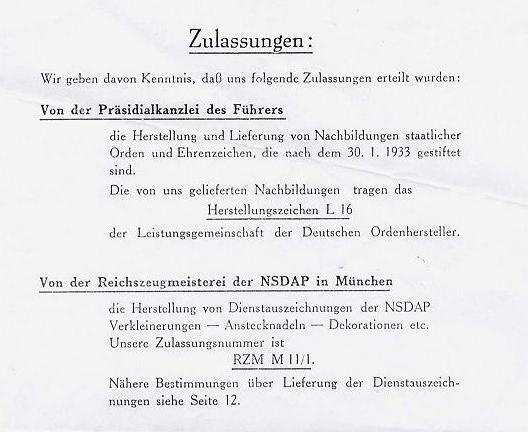 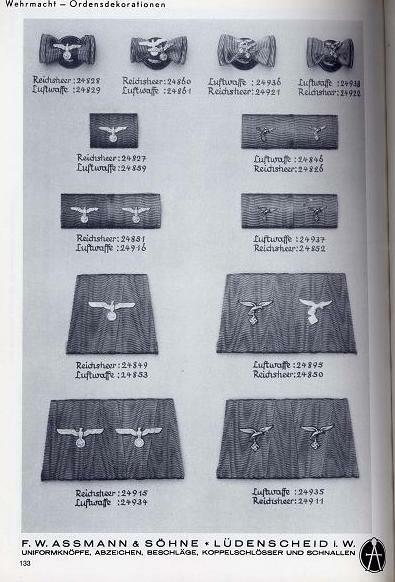 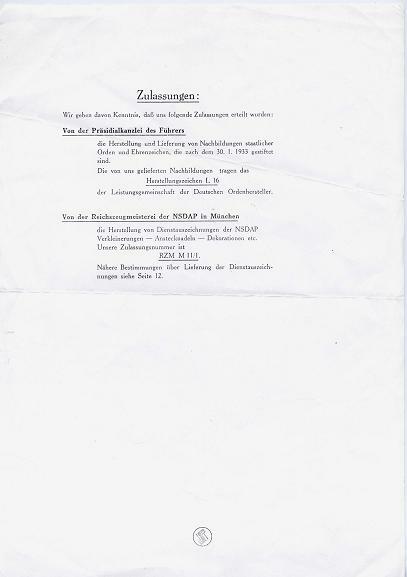 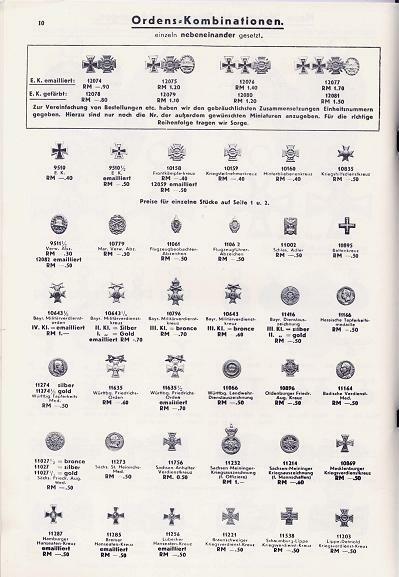 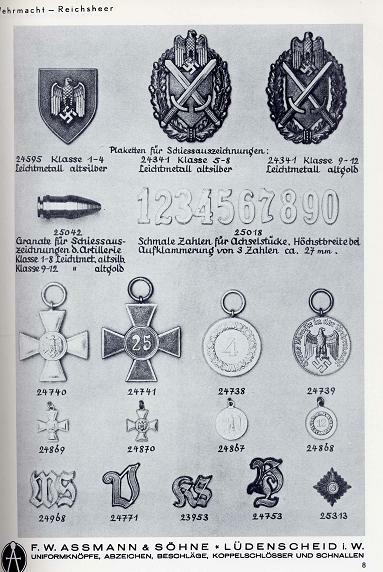 It is interesting in confirming the LDO code as L/16 and referring to the pieces so marked as "Nachbildungen" or "Copies" as opposed to official awards. 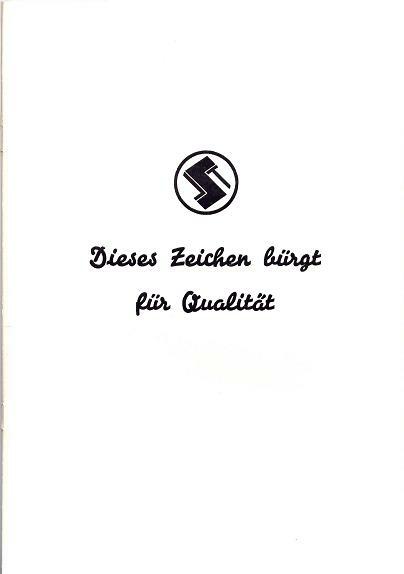 Statement regarding the firms markings. 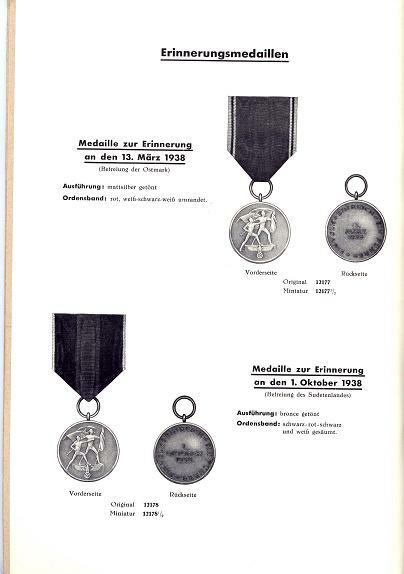 Note the use of the term Nachbildung to describe retail copies rather than official awards.